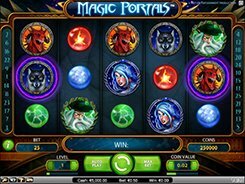 Magic Portals is a fantasy-themed video slot with 5 reels, 25 fixed bet lines and a unique Wild Transformation feature. As the number of lines comes fixed, you can adjust only a coin value ($0.01 to $1) and the number of coins per bet line (1 to 10), thus the minimum and maximum bets are $0.25 and $250 respectively, which will appeal to both low- and high-rollers alike. 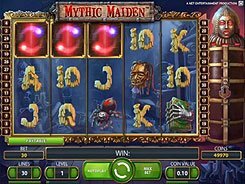 The symbols used in the slot are associated with magic, fantasy and sorcery, and include snow orbs, fire orbs, dragons, owls, magicians and other theme related icons. 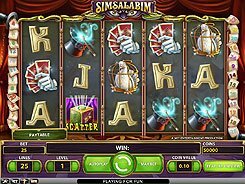 The first and second largest prizes to be won in the slot are $5000 and $3000. In a base game, you will see two ‘portals’, each fixed in the middle of reel 1 and reel 5. When two matching symbols appear in the two portals at the end of a spin, that same symbols occurred on other positions will morph into wilds. 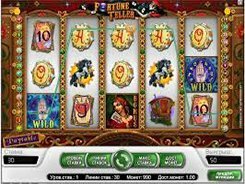 Besides, the slot has a free spins feature triggered by two Free Spins icons landed in the portals. During the round of free spins you get two more portals on the reels for the duration of the feature which, sure, increases the chances of hitting a top-paying combination. PLAY FOR REAL MONEY!